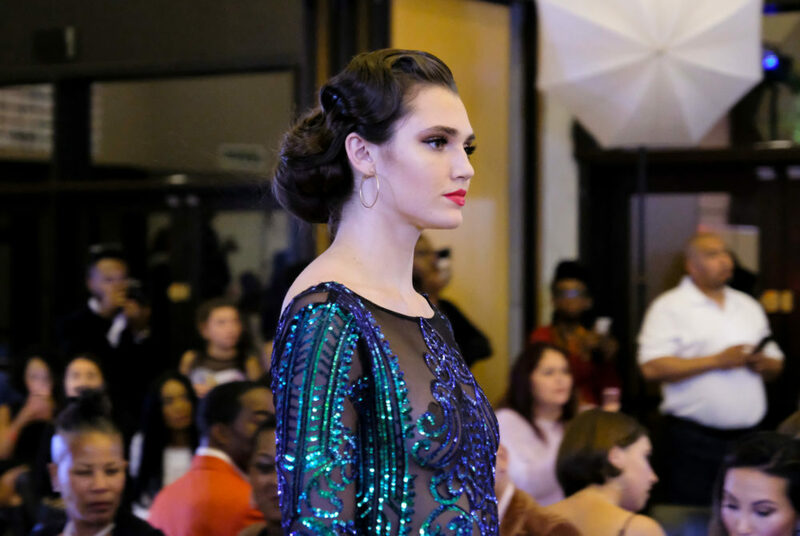 Volleyball middle blocker Alexis Lete walked the runway for the first time at D.C. Fashion Week in the finale show at the Embassy of France. Volleyball middle blocker Alexis Lete may be known for her kills on the court, but on the runway she shows off killer looks instead. 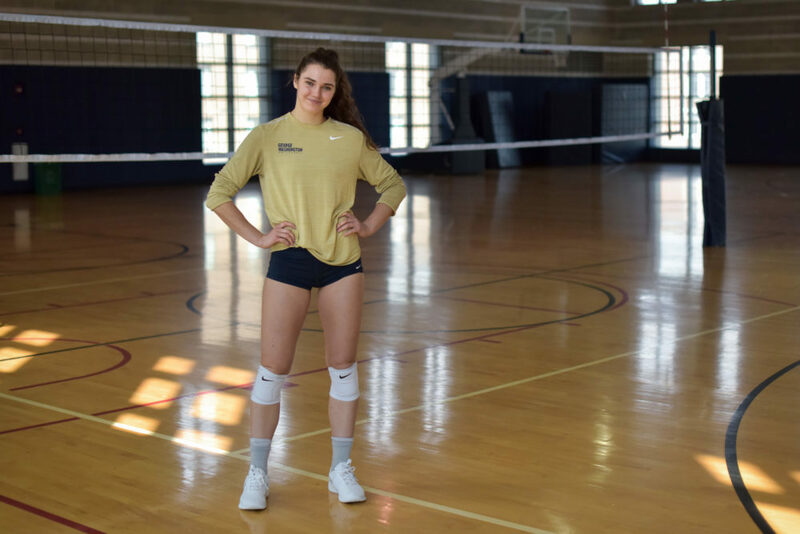 Lete, a senior majoring in communication, came to GW to make her mark on the court, but said she has wanted to model since she was a teenager living in Indiana. Lete walked the runway for the first time at D.C. Fashion Week last month in the finale show at the Embassy of France. On the court, Lete has started all 14 matches. She leads the team with 43.0 blocks so far this season and her 88 kills are good for fourth on the squad. When she came to GW, she paused her passion for modeling to focus on her other love: her sport. Lete began to ponder modeling again and she said head coach Sarah Bernson, who was hired ahead of the 2017 season, and her staff of assistants encouraged her to dive back into the modeling world. The athlete and model is signed to the agency Heyman Talent in Louisville, Ky. Living vicariously through the show “America’s Next Top Model” while growing up as a “lanky” teenager, Lete said she was always drawn to the modeling world. Volleyball middle blocker Alexis Lete leads the team with 43.0 blocks so far this season and her 88 kills are good for fourth on the squad. Lete said she was not fully versed in the modeling world but her fiery personality and natural desire to meet people helped her connect with experienced models who led her to audition for D.C. Fashion Week and walk alongside about 200 models to compete for a spot. Ean Williams, the founder of D.C. Fashion Week, debuted his collection during Friday’s show and selected Lete to don one of his dresses in Sunday’s show. “She was a perfect fit for my Sprite gown,” Williams said. Now in her final semester, Lete is keeping her options open for the future, considering careers that extend one of her two passions: model, game show host or personal trainer. Sophomore middle blocker Callie Fauntleroy said Lete was one of the first people she met at GW and they continue to work through all drills together because they share the same position. “She was a big reason why I actually committed, because she was super welcoming and it was the first place that I had visited that I had felt like I belonged,” Fauntleroy said. Just as Lete’s teammates support her endeavors off the court, they also find comfort in the model’s positive, motivating personality, Fauntleroy said.